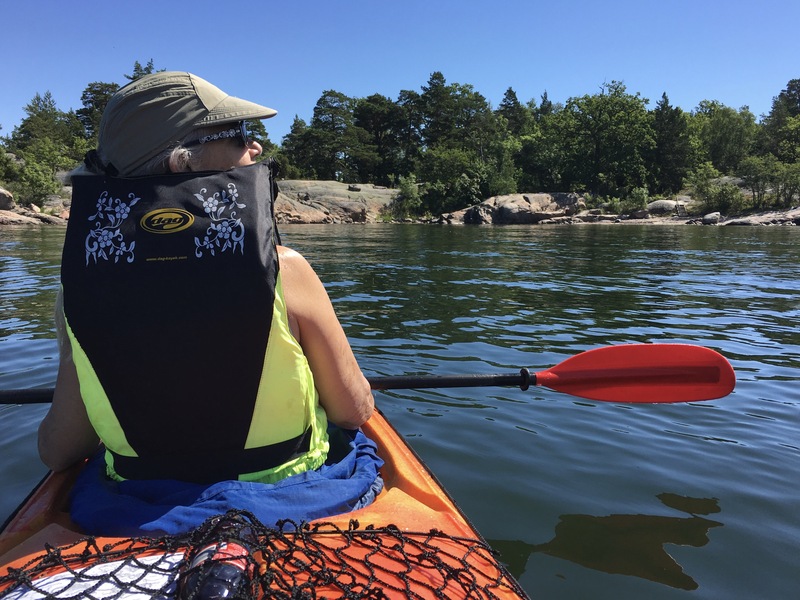 For her birthday, Dale wanted to kayak all the way around Grinda, about 6 miles. We had rented a two-person kayak the evening before, so we set off in the morning out of the harbor by the marina in a clock-wise direction around the island. 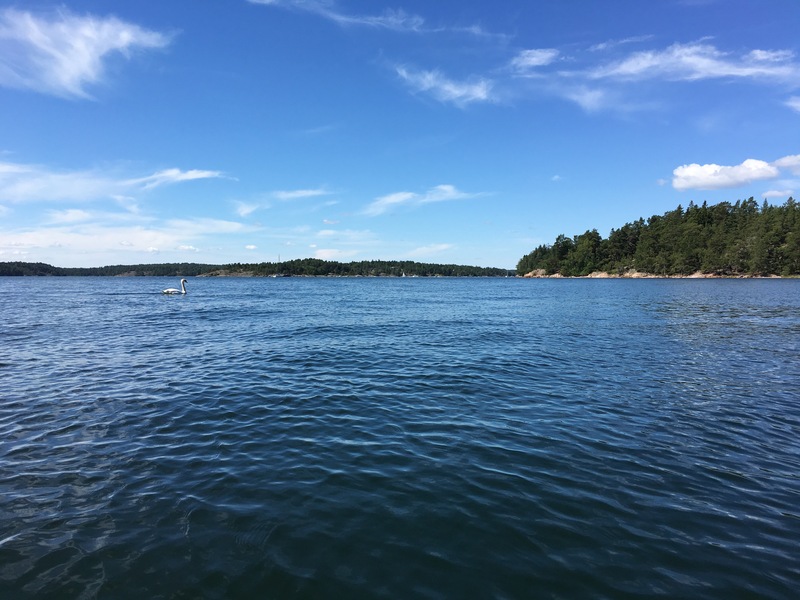 I tasted and felt the water: it’s brackish and not too cold, maybe 60°-65°F, about 10°F warmer than the water around the San Juan Islands of Washington State. I suppose the water here has low salinity because of the snow melt that finds its way into the Baltic Sea at this distance from the much saltier Atlantic Ocean. 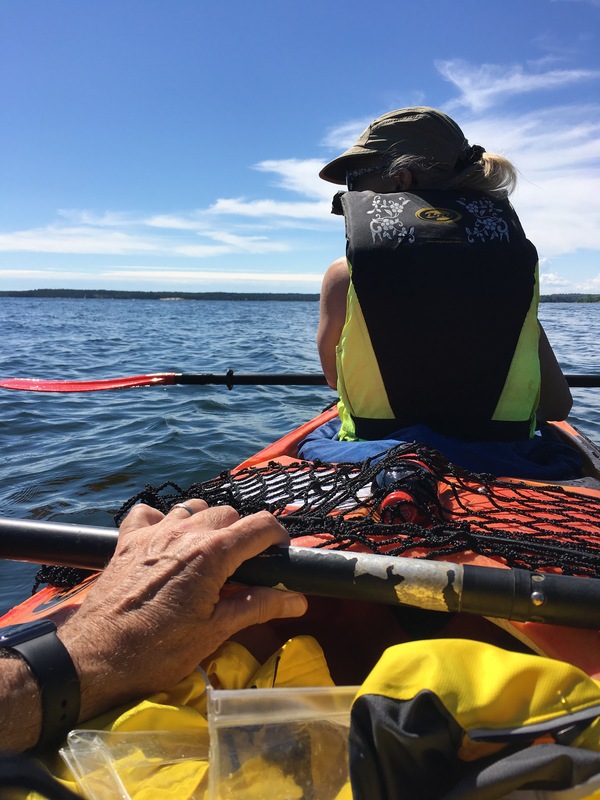 At any rate, it was a fairly easy paddle, taking a little over two hours to circumnavigate Grinda. At one point, we raced a swan! 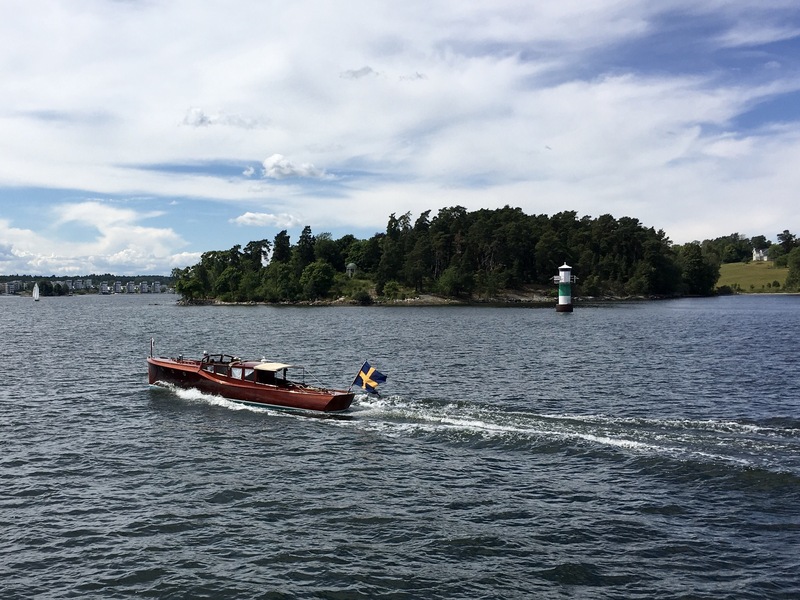 Both Grinda and Finnhamn are nature reserves, owned by the Archipelago Foundation (“Skärgårdsstiftelsens”), a quasi-governmental entity created by the city and county of Stockholm to preserve the islands for the public. 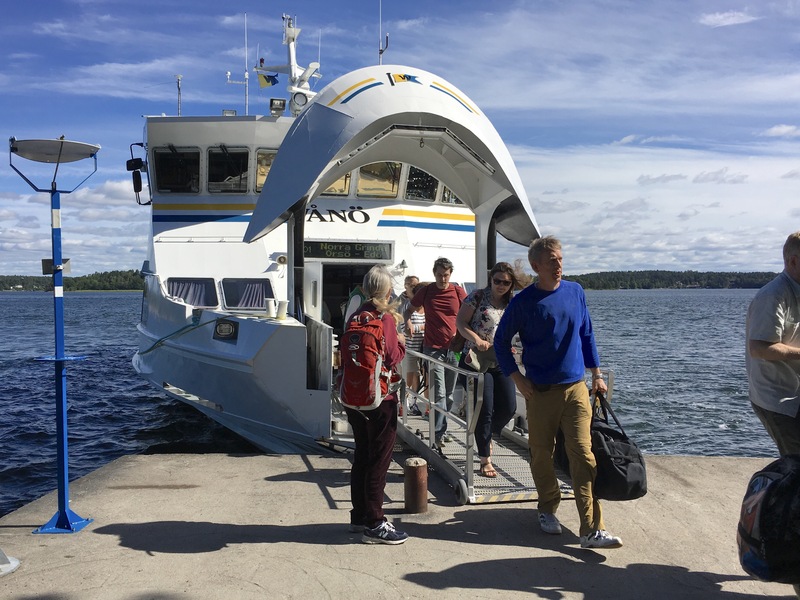 Unlike the steamships, the more modern Vånö moved along at a good clip. 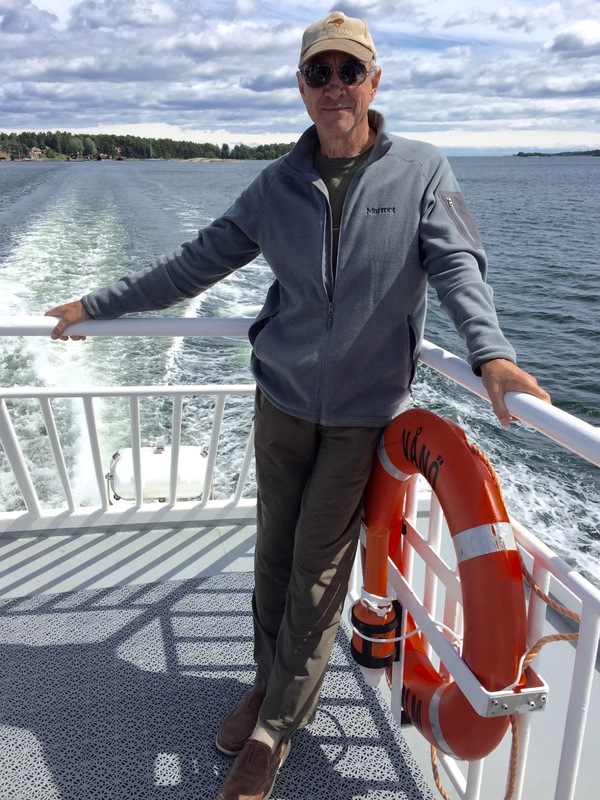 We had a little under three hours on Fennhamn before the next boat, so we walked the island and had lunch at the little cafe. 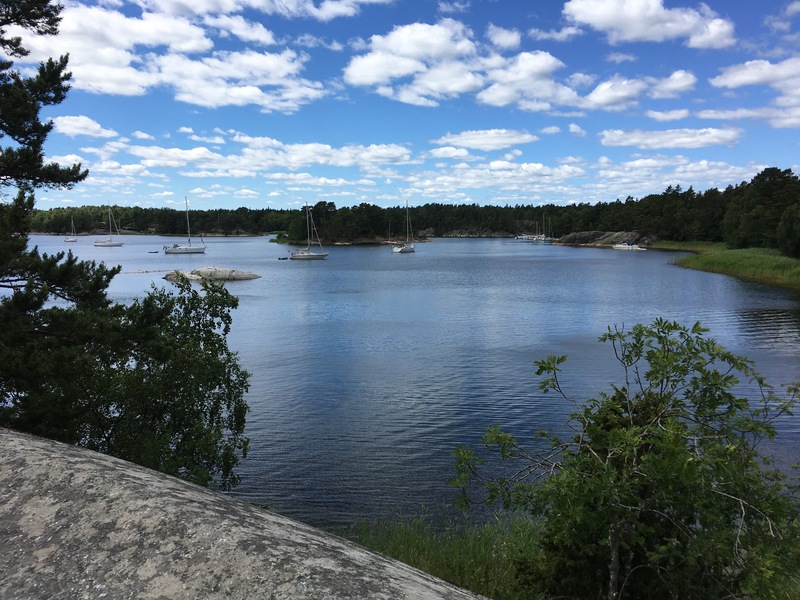 Fennhamn must be prized by sailors for its protected anchorage. Right on time, the Cinderella II arrived to take us back to Grinda, giving us a different view, approximating the #13 route on the map, above. We spent a total of three nights on Grinda and it was wonderful. Great weather the entire time and, since we were there in the middle of the week, it wasn’t crowded at all. Certainly, one of the highlights of this trip. The next morning, Friday, we walked back down to the ferry dock on the south side of the island where weekend visitors had just disembarked. 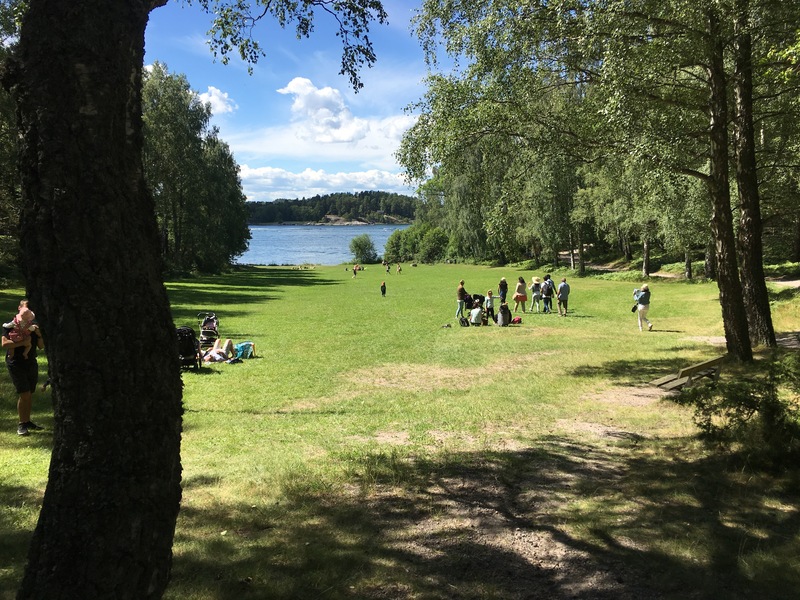 The Stockholmers love to spread out blankets and picnic and there’s plenty of room here to do that and let the kids run wild. 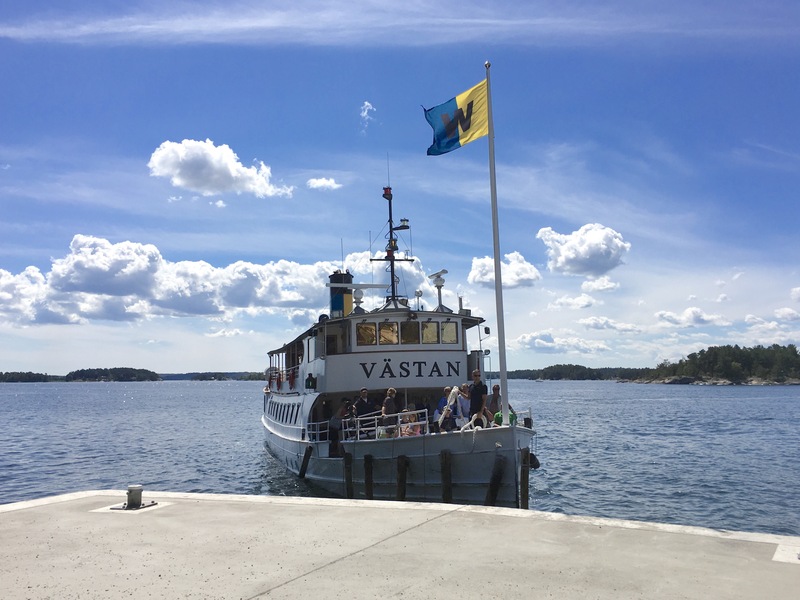 Soon, our boat arrived, another old steamship, the S/S Västan. 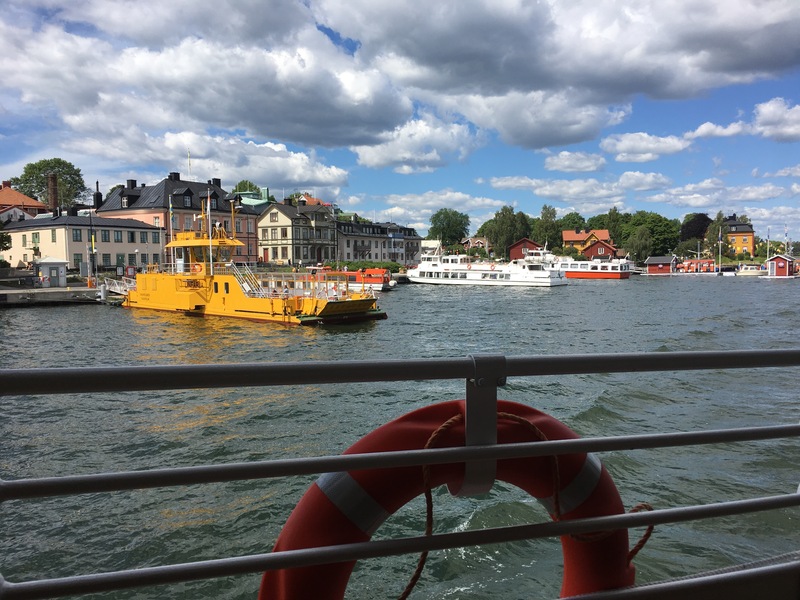 …and were soon back in Stockholm. And, now, we’ve come to the end of our stay in Stockholm. 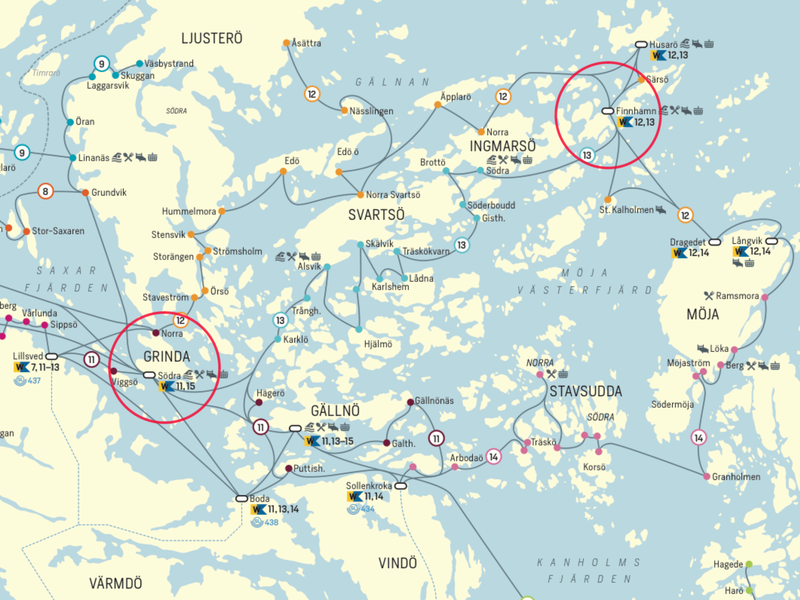 On Monday, we begin a new adventure: a 10-day biking trip across the Baltic countries of Estonia, Latvia and Lithuania. Should be interesting.